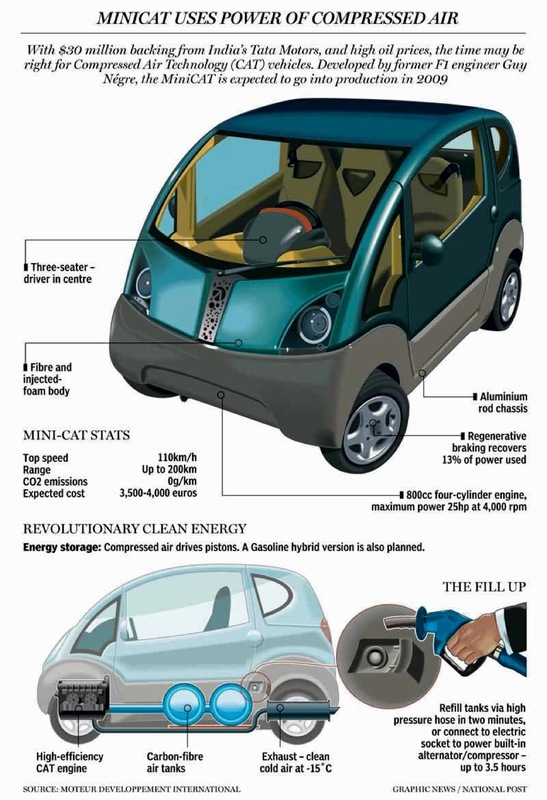 Tata Motors Ltd, India’s largest automobile company, has completed the first phase of a plan to start commercial production of a car that runs on compressed air. It has been working on the project for five years, but the cars may take a while to reach showrooms given the long gestation period between pilot runs and commercialization. Compressed air is used to power pneumatic drills and air brakes, among other devices. 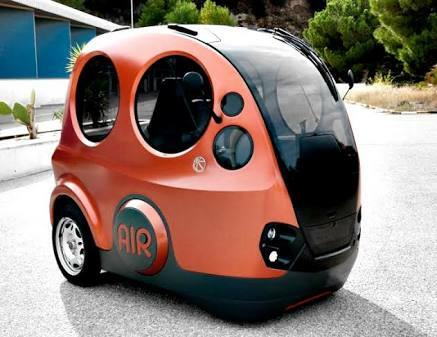 As a concept, an air-powered car sounds like the answer to environmental degradation and energy shortages, to name just two critical problems the earth faces. Air cars are also designed to be lighter than conventional cars. The aluminium construction of these vehicles will keep their weight under 2,000 pounds (907 kg), making them fuel efficient. Tata Motors is “working on several opportunities to improve the efficiency of the engine and also establish reliability and life estimation as a part of detailed development process”, he added. MDI’s production models include the AirPod, OneFlowAIR, MiniFlowAIR and CityFlowAIR. Prototypes are said to have been tested by some foreign airlines for use as emission-free vehicles within airports. However, no AirPod has been sold till date. The AirPod, according to the company’s website, can be driven with a joystick and only costs €1 (Rs.70) per 200 km. It is part of the MDI production licence of “less than 500kg vehicles, and has four seats (three adults and one child) with space for luggage”. The OneFlowAIR, according to the company, is expected to range between €3,500 and €5,300. While Tata Motors did not comment on the speeds, the engine is said to produce enough power for speeds of about 56 km per hour. Compressed air engines also offer the option of using fossil fuels or biofuels to heat the air as it enters the engine. However, while the speeds may increase, pollution too will rise proportionately. 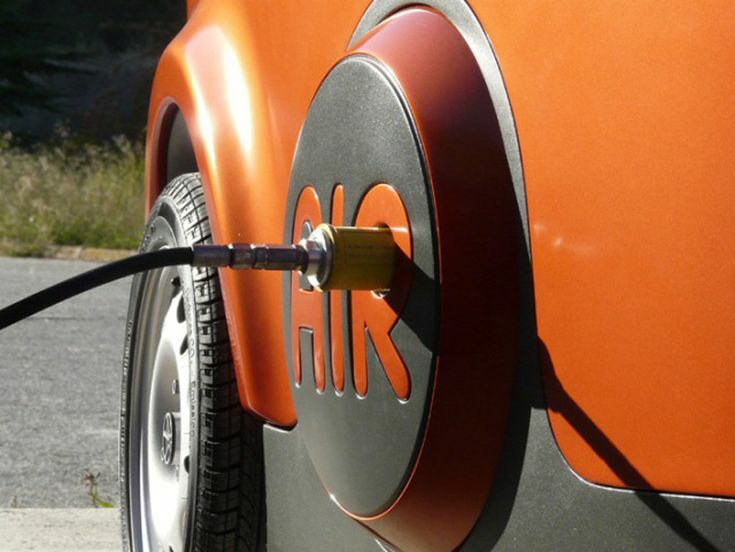 The idea of using compressed air to power a vehicle has been around for a while. Early prototypes date back to the 1920s, before the internal combustion engine was invented. Australia-based Engineair Pty Ltd is another such company focusing on the development of air motor technology, based on a unique rotary piston concept. In 2010, Honda presented the Honda Air concept car at the Los Angeles Auto Show.